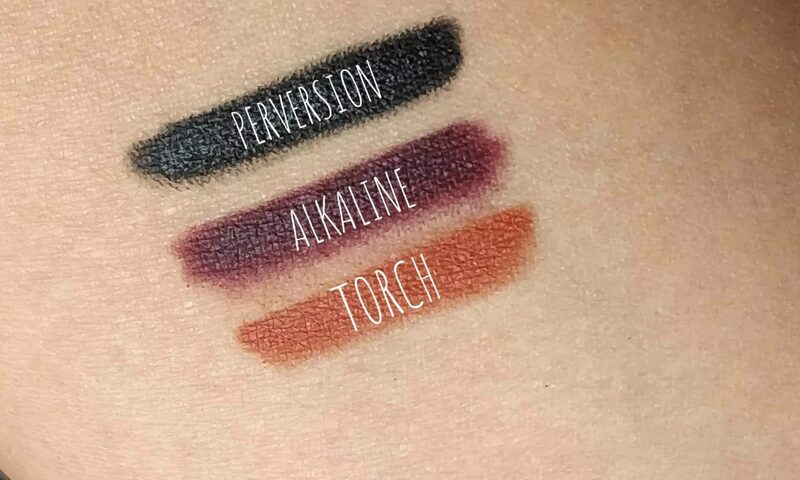 Some of you might already know my obsession for colored eyeliners. Though there are a number of brands available. These Glide-On Eye Pencils from Urban Decay are my most favorites. I have reviewed a bunch of them here already. The formula of these glide-on pencils are creamy. They are long lasting and waterproof too. 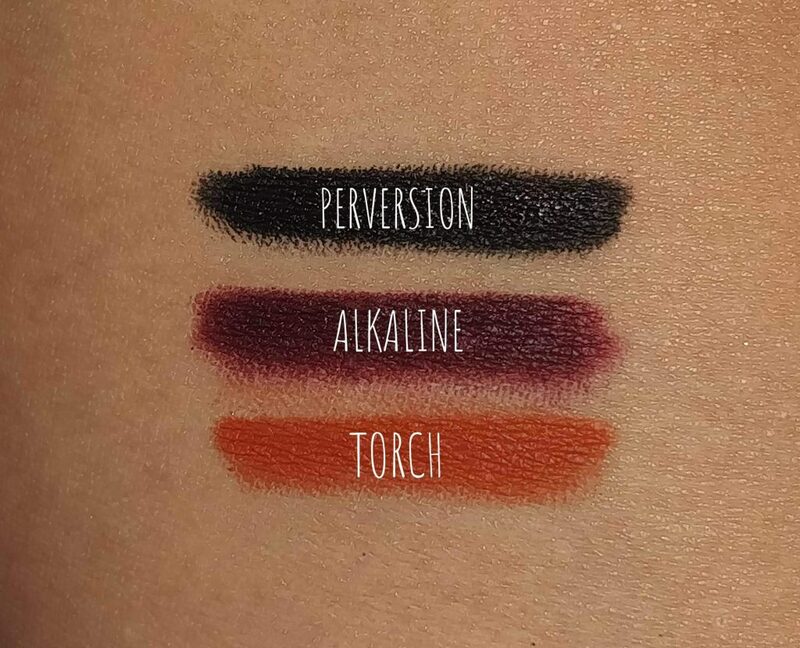 The shade – ‘Perversion’ is my all time favorite black liner. Applies velvety-soft, this never-before-seen formula stays soft and creamy for blending (about 30 seconds), then dries down to a long-lasting finish that WILL NOT budge. Created with 50% moisturizing ingredients suspended in a sophisticated waterproof formula, 24/7 Eye Pencils offer long-lasting color and a dreamy, creamy feel when applied. With Jojoba Oil, Vitamin E and Cottonseed Oil. Urban Decay is 100% cruelty-free. 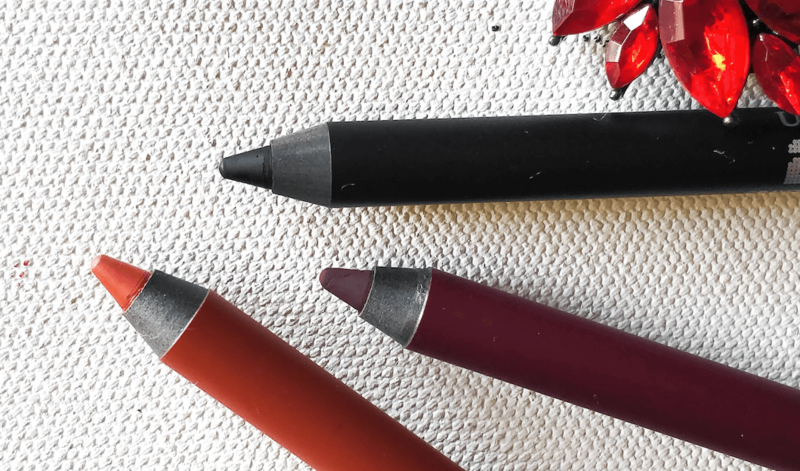 Perversion – 24/7 glide-on pencil ‘Zero’ is one of my favorite black shade. I like ‘Perversion’ a little more than ‘Zero’. It’s the blackest eyeliner ever and it’s so soft and creamy to apply. Super good pigmentation and I love how long-lasting the shade is. Alkaline – Shade ‘Alkaline’ is a nice burgundy red matte shade. I like the vibrant reddish shade that slides on smooth and stays soft and creamy for blending (about 30 seconds), then dries to a long-lasting finish that won’t budge. Torch – Torch is a beautiful burnt copper shade that dries down to a matte finish. All of the shades in 24/7 glide-on pencil range are stunning and highly creamy pigmented and it goes opaque in a single stroke. They need to be sharpened and because of its creamy texture, it’s always better to refrigerate first before sharpening them to avoid breakage. The shades doesn’t crease or smudge and it stays well. The longevity is excellent as it stays intact with minimal fading throughout the day. 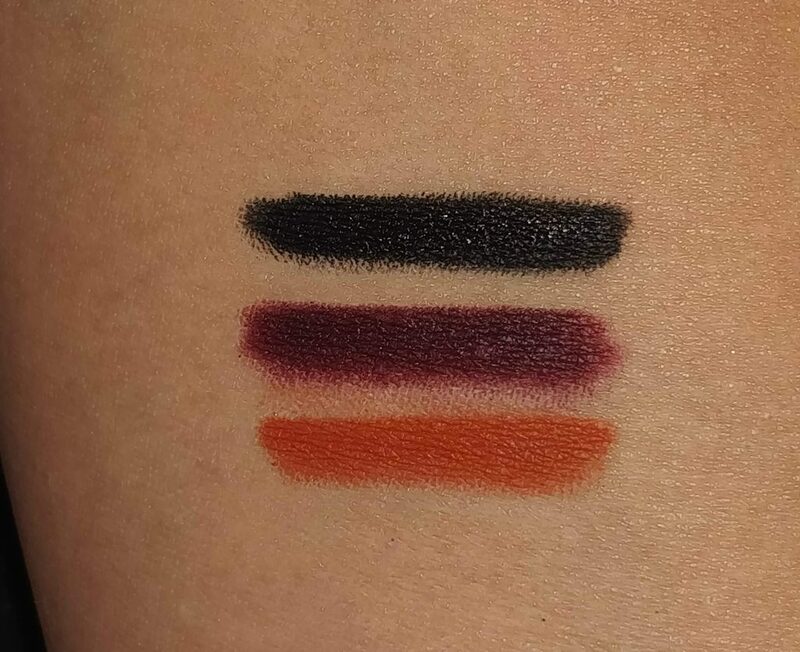 The darker shades can be paired with each other to create unique eye looks. I also like to use colored liners for that quick pop of color on your eyes.